Luke Antoniou, Editor of Intelligent Transport, asks Maxim S. Liksutov, Deputy Mayor of Moscow and Head of the Department of Transport and Road Infrastructure Development, about the development of Moscow’s public transport network in the last few years and what the future holds. What is transport like in Moscow at the moment and how has it changed in recent years? Since 2010, the Moscow transport system has changed dramatically, especially when considered against the lack of change throughout the preceding decades. Consequently, the network has become more comfortable, faster and more accessible for residents across the city. We have expanded the subway at a quicker rate than ever before in its 80-year history. In eight years, 73 new metro stations and the Moscow Central Circle (MCC) have entered into operation. We have renewed the ground public transport network, with present routes altered and additional routes introduced following the requests of Muscovites. Since 2010, 148 new routes have been introduced to the city and by the end of 2018, ground public transport will be launched along another 29 routes. The transport operators have managed to keep operations running to schedule 95 per cent of the time, meaning there are minimal delays for passengers. This is a great improvement in comparison to 2010, where they were on time only 76 per cent of the time i. This is partially thanks to the introduction of detached lanes for public transport, which have made mobility more comfortable for the 2.5 million passengers. Today in Moscow, 19 million trips are made using public transport every day – 14 per cent more than in 2010. In morning rush hour, 68 per cent of citizens take public transport to get to work, choosing metro, buses, trams and suburban trains. During the last eight years we began to form a new backbone of transport, building and reconstructing not only the metro and MCC, but the roads, junctions, tunnels, bike lanes, organised pedestrian spaces and streets. We have also managed to regulate taxi operation in the city – today there are 55,000 legal taxis working in the city. The waiting time is one of the shortest in the world – only five to seven minutes on average. Car-sharing has been introduced to complement the existing public transport system. 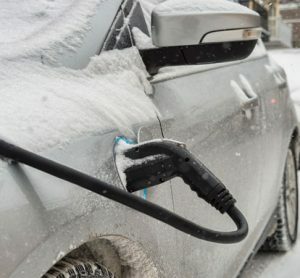 Car-sharing is a private investment sector that has developed incredibly quickly; in 2015, there were only 100 shared cars in Moscow, but now there are 11,500. Since 2010, the average car speed in Moscow has increased by 16 per cent as congestion has eased. The introduction of paid parking, a decrease in the number of road accidents by 59 per cent since 2010, the development of intelligent transport systems and the increasing popularity of public transport have all contributed to a decrease in congestion. At the Moscow Urban Forum, the Dutch company TomTom supplied evidence of our success with varying statistics. In 2018, congestion in Moscow decreased by 25 per cent compared with the peak year – 2012. The decrease in congestion is proved by traffic statistics at certain streets. For example, in the first half of 2018, the average speed at the Garden Ring increased by 16 per cent, at the Moscow Ring Road by 12 per cent, and one can now drive through the Third Ring Road and major city highways 11 per cent faster. What plans are your plans for further modernisation? It is imperative that we continue developing – and that is why we will continue launching new stations and lines on both the underground and overground metro whilst developing suburban rail transport and renewing rolling stock with more comfortable vehicles. This will help make travelling through Moscow faster and more enjoyable. After renewing 40 per cent of the Moscow Metro trains, today we receive only the most modern metro trains – ‘Moskva’, which are produced in Russia. Their capacity is 15 per cent higher than a regular train. Thanks to the greater number of seats, improved air conditioning, enhanced noise insulation and other advantages, passenger experience on the new vehicles is more comfortable. During 2018 we have received 292 modern ‘Moskva’ cars, increasing the total to 556 cars. By the end of 2018, the Moscow Metro will have received another 206 cars, and in 2019 another 552. Since 2010, 98 per cent of Moscow’s bus fleet has been renewed, alongside 90 per cent of all types of ground transport rolling stock. In two years we have received more than 200 new ‘Vityaz M’ trams – a modern tram consisting of three eco-friendly cars that caters for passengers with reduced mobility. Another new project that we are proud of is the Moscow e-bus launch. The first eight e-buses, delivered by Russian manufacturers, already operate within the city’s routes and are charged by a pantograph at ultra-fast charging stations located at the terminus of the route. Along the 14km route the Moscow e-bus uses no more than 20 per cent of the battery’s capacity. Manufacturers collect operational data – that is under the control of the city’s transport operator, SUE ‘Mosgortrans’ – from the vehicles 24/7. This is used to help maintain the vehicles and reduce down time and costs. By the end of 2018, another 100 e-buses will be delivered to Moscow, and in 2019 we are expecting 500 more. In 2020 and 2021 we plan to annually purchase 300 e-buses and in 2021 we will have completely stopped purchasing diesel buses. By the beginning of 2020 we aim to launch a large project – the Moscow Central Diameters – that will be focused on ensuring suburban rail routes go through the city. It will help to better integrate rail into the city’s transport infrastructure and encourage more people to use overground rail during their daily commute. At first, two diameters will be launched with four more scheduled to be launched before 2023. How are rail advances helping develop Moscow as a city? The Moscow Central Diameters (MCD) is a fundamentally new system of overground metro that will be constructed on the base of existing railway infrastructure. The goal of the project is to connect existing radial routes and turn them into through-routes, which will connect surrounding towns with the city centre. Passengers will be able to switch between metro, the MCD and other public transport by using convenient interchanges will encourage residents to leave privately-owned cars at home, reducing congestion, improving air quality and developing Moscow as a city. Overall, we forecast a general reduction in the load on the city’s transport infrastructure by 12 per cent. How big a part has digitalisation played in updating Moscow’s transport network? It can be argued that Moscow is further ahead of many megalopolises in terms of the digitalisation of transport services. 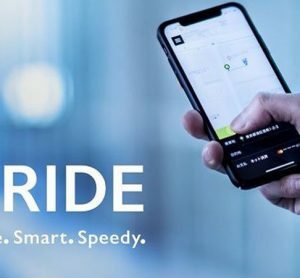 Almost all passenger services are available via a smartphone with 80 per cent of taxi bookings made through mobile apps and 86 per cent of paid parking transactions performed in-app. Car-sharing and bike-sharing are also fully dependent on the existence of a digital application. The public transport operators have mobile apps available for the passenger to download, which provide route-planning options and offer service information in several foreign languages. By the end of 2018 turnstiles at all metro stations will be equipped with special readers, so that passengers can pay using Apple Pay, Samsung Pay or Android Pay (this technology is currently implemented at more than 80 metro stations). So far, only a small proportion of passengers are using these payment options, but the system was only introduced two years ago. Users of Android-based smartphones with NFC technology can replenish the transport smartcard ‘Troika’ with the help of the ‘Metro Moscow’ app. In the near future we will announce a tender for ticket system modernisation, so that the card can be replenished remotely by all passengers. There is also the ‘Moscow Helper’ mobile app. The service allows Muscovites to independently influence the traffic situation in the city, and most importantly prevent road accidents caused by improperly parked cars. By using the app, one can record parking violations in the area (with the ‘Stop prohibited’ and ‘Parking prohibited’ features); , improper parking on pavements, pedestrian crossings and taxi ranks; and payment evasion. The app has been installed more than 280,000 times since it launched. 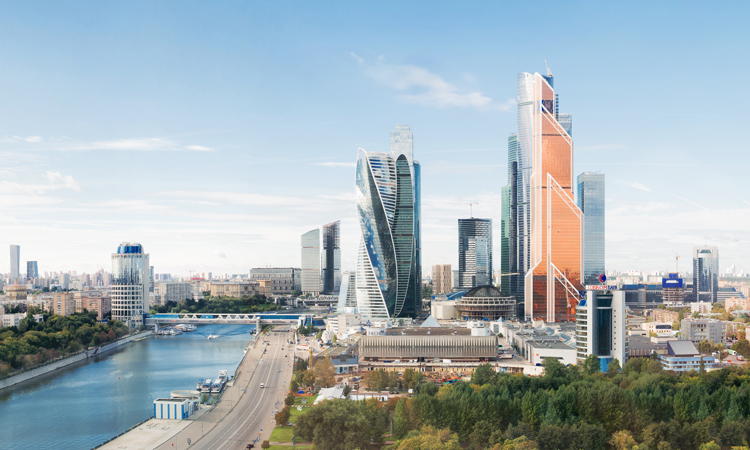 How has urbanisation affected Moscow and how has the city coped with it? One of Moscow’s most significant challenges is the large concentration of jobs within the city centre: more than 40 per cent of citizens work inside the Third Ring Road, which places a huge weight on the city’s road network. 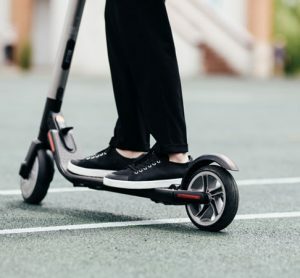 Therefore, we are required to provide residents of the Moscow agglomeration with fast, comfortable and eco-friendly transport that is a worthy alternative to a personal car, since during peak hours Moscow highways and streets are substantially overloaded at virtually all entrances into the city from the suburbs. In addition, urban transport is also a driver for improving impacts on the environment. For example, to achieve a significant improvement in the environmental situation in Moscow, we restored order on roads, developed pedestrian areas and bicycle paths, renewed the public transport fleet, and regulated truck traffic, as well as introducing other regulating measures. Finally, encouraging use of public transport and environmentally-friendly transport also helps improve resident health. A car user on average actively moves less than a minute a day, a public transport passenger, however, moves between eight and 15 minutes, and a cyclist or a pedestrian for approximately 22 minutes. People like these who are physically active every day are at lesser risk to type 2 diabetes by 35-50 per cent, to depression by 20-30 per cent and coronary heart disease by 20-35 per cent. Maxim S. Liksutov is the Deputy Mayor of Moscow and Head of the Department of Transport and Road Infrastructure Development. 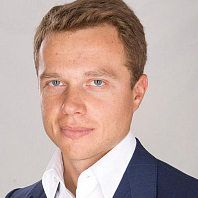 In 2007, he graduated from the Plekhanov Russian Academy of Economics and from 2005 to 2008, he was a Board of Directors member of ‘TransGroup’ LLC. Since 2009, Liksutov has held the position of General Director of ‘Aeroexpress’ LLC. Since 29 April 2011, Liksutov served as an Adviser to the Mayor of Moscow on transport and road infrastructure development. By the Decree of the Mayor of Moscow on 25 September 2012, he was appointed as Deputy Mayor of Moscow, Head of the Department for Transport and Road Infrastructure Development of Moscow.